Filament spools. We all have them, they are a necessary evil of 3D printing. Well we decided to try and come up with a use for them and the results are interesting. 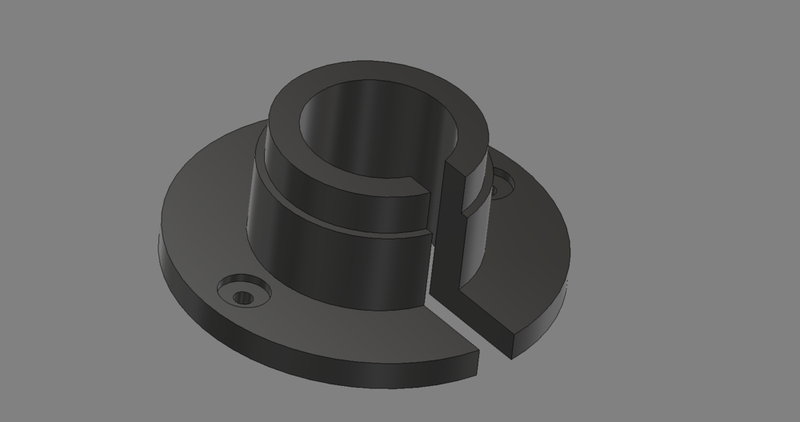 We started in Fusion 360 designing a holder for the spools that we can attach to wall and hold some LEDs. 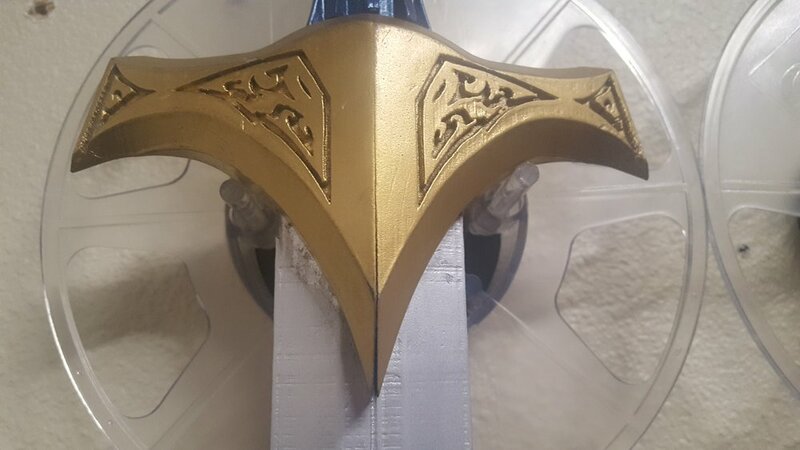 With the spool creates, we tested it in the Makergear M2 and did a few adjustments to make it perfect. 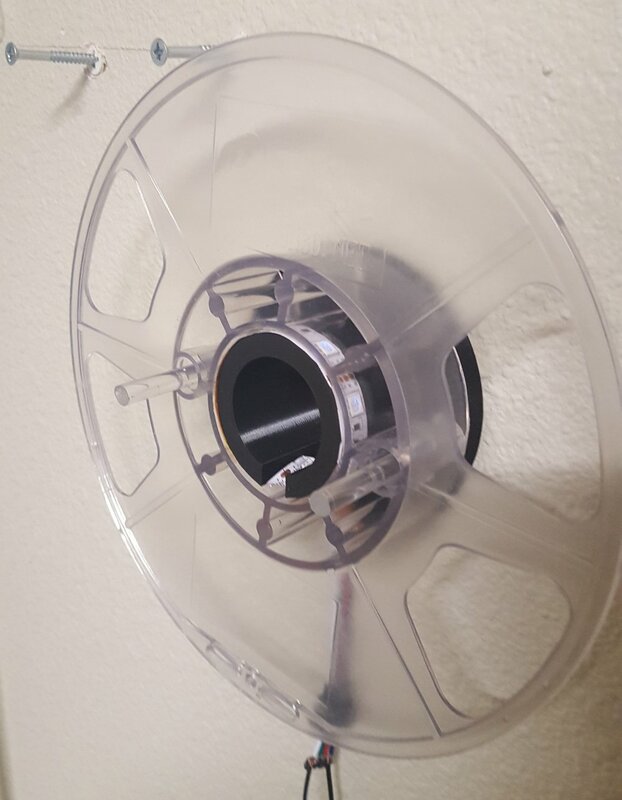 They look great mounted to the wall and the spools fit snug. These are designed for use with Esun spools but could easily be scaled to work with others if needed. 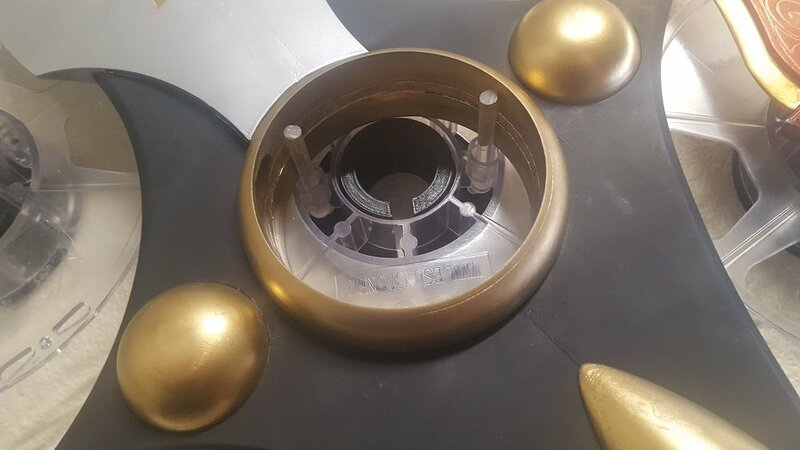 We used 1/4" acrylic rod inside the bolt holes of the spools as a connector for the props. We did have to drill them out with a 1/4" drill bit and then drive them in with a hammer but it was a really secure connection. They work great because we can rotate them to fit many different props at a variety of angles. Various lengths of rods can be used to help work out the best way to hold all our unique props. 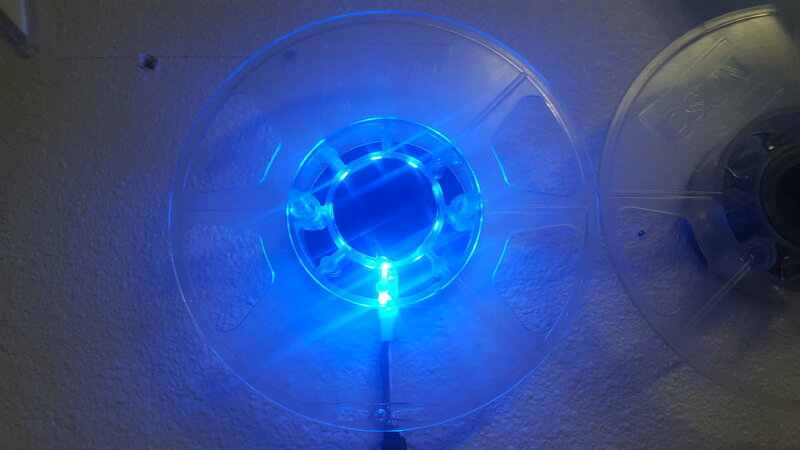 In addition we added a rim that can have LEDs attached for lighting effects. They are designed to light the clear spools specifically. We have plans to do some crazy stuff with these lights in the future but for now they look cool and provide some back lighting on the wall. We will keep playing with this idea and refining it. If you come up with some cool ideas then lets us know! 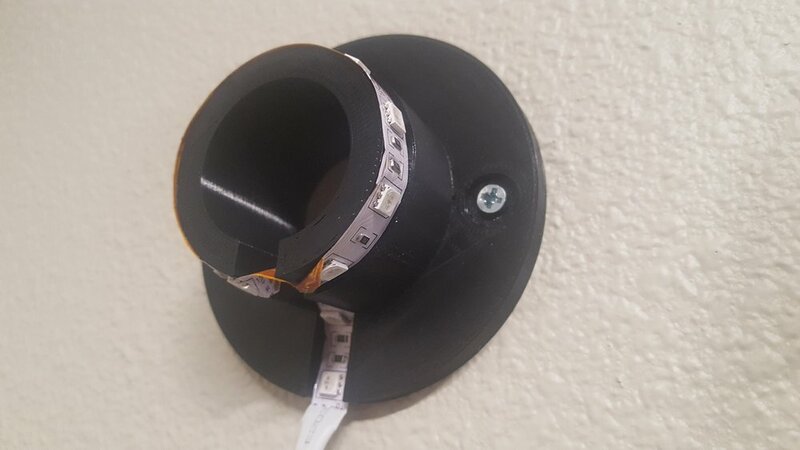 We would love to see what you guys hang on your empty filament spools! 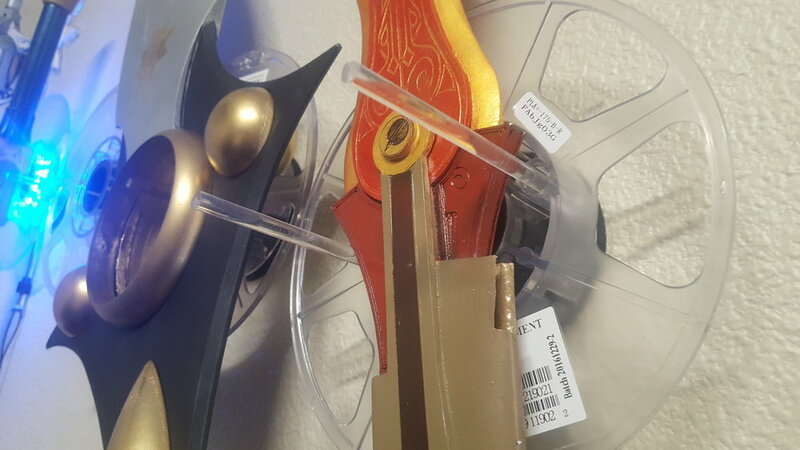 If you are interested in our spool holder than you can find the file here.